Have you ever wondered about your British ancestry? Have you tried already to conduct British family tree research but have got lost along the way? You may have asked the question where did they come, why did they leave their home. This British Genealogy Mega Collection review will show you why this is for you and what you can learn from it. Buying these 12 resources would normally cost you a staggering $333.89. But buying this complete collection that contains two ebooks, together with PDF and video downloads that altogether can give you a 79% saving. All of this for an incredible $69.99! Why did they migrate from Britain? Your British ancestors may have originally come from any of the three countries that make up the British Isles. These include England, Scotland and Wales. Finding out why they made the move can be a fascinating line of research. Did they want to seek their fortune elsewhere or did they migrate from Britain for another reason? They may have even made the journey on their before the rest of the family followed on. Tracing your British genealogy doesn’t have to be hard. With this collection of digital downloads you will be well on your way to discovering your British ancestors. It will show you where you need to look and what strategies and practices to adopt to get the best results. During your genealogy research you may have discovered that you have British ancestry and you want to learn more about your ancestors. But where do you start and what do you want to know? You maybe wondering why is this mega collection for you? You know that you have English, Scottish or Welsh ancestry. You want to find out which are the best websites and records for conducting your British research. You want to understand the geography and political terms. You want to overcome the inconsistency of record keeping within the British Isles. You want to explore the history of clans and tartans, and also religions and languages of Britain. You have hit a brick wall during this line of research. You are looking for help and resources to track down your English, Scottish and Welsh immigrants. There is much that you can learn from this mega collection. If you have British ancestry then you may or may not know that you have a rich history. And you will want to explore it. Understand the Scottish naming patterns. Locate and how to decipher the Scottish marriage records. Tips to track down your ancestors back to Britain. What sites you can use to find family after they arrived in the United States. Understand the geography and overcome the political terms during your research. Strategies for making sense of the non-standardized record-keeping. Ways to break down your British brick walls and also find new sources of information. Tips for finding your ancestors in the US or Australia using records. What are the best resources that you can use to trace your Welsh ancestors. The British Genealogy Mega Collection includes a total of TWELVE digital resources that can help you on your way with your British past. There are two eBooks, three PDF downloads and seven video downloads as well. As this collection comprises digital products then you will be able to immediately access this material. There is no waiting around, so you can make a start today! This collection does normally cost $333.89, but with Shop Family Tree you can buy all twelve of these digital guides for a low $69.99. That will give you an unbelievable 79% saving if you buy this mega collection. If you know where to look then finding your Scottish ancestors needn’t be hard. This video will show you how to get started. It will show you how to decipher naming patterns answers also locating vital records. You will also be shown lesser-known resources that will help you on your way. This video will show you research tricks to help you trace your Scottish ancestors. 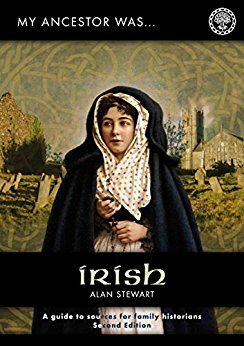 Through this guide you will be able to find your ancestors hometown and also determine their cultural tradition of either Ulster, Lowlands or Highlands. This ebook will help you with everything that you need to know to tackle any problems in your Scottish genealogy research. It will show you how to find records, and also methods for searching online and in libraries as well. There are also case studies that will demonstrate to you how to research your Scottish heritage. ScottishPeople.gov is a website vital records that will help with your research. This video will show you how to use this research, as well as the tools that you will need. With help from this video you will discover the best websites that will help you track your English ancestors migration back to England. This hour long presentation will show you how to further your research. This ebook will help you to read between the lines and get more from your English genealogy research. You will learn how to search the major indexes with speed, and also analyze documents and records in order to determine their accuracy. Through this guide you will be able to overcome challenges such as the geography and also political terms. This video will present to you a three step for tracking your English migrant ancestors back to England. There is an emphasis here on records that date from the 1700s to the early 1900s. Civil registrations in the U.K. record vital information such as birthday, deaths and marriages. With this video guide you will be able to break down those brick walls when it comes to using this resource. This research can all be done online. This video presents to you key resources that you can use. There is also tips given to you to help you link up your ancestors, as well as other tools. There are three case studies included to help you on your way. Includes a guide that will help you trace your Welsh ancestors. Besides learning about what resources that you can use you will also learn about Welsh history. Your British ancestors may have wanted to migrate to other exotic destinations. With this guide you will be able to follow your ancestor to other British colonies in India, Australia and South Africa. Discovering that you have ancestors that came from Britain can be very exciting. Where did they live while they were living in the old country? What did they do for a living and why did they move to the United States? These are just some of the questions that you can get answers to with this section. What path do you take? Whenever you are trying to trace a branch of your family it is always not clear just where you can find information and what is the best way to go about it. That is where this collection comes in. It will show you what sources that you can check and the strategies and tips that you can use to get the results that you need. 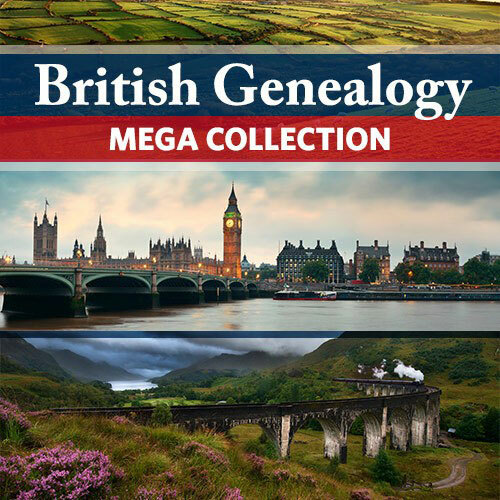 As this mega collection contains digital products then you can begin your British genealogy research straight away. You do not have to wait for a book to arrive in the mail. So, you can make a start today tracing your British roots. And with such a huge saving it is definitely a tempting collection of guides to buy. To get further help with finding your British ancestors why not head on over to the ThoughtCo. website. There you will find a guide to the 10 Top Websites for British Genealogy that will help you access the records that you are after. I hope you enjoyed reading this review about British Family Tree Research and how the British Genealogy Mega Collection can help you. If you have any questions or comments then please leave a comment below. Hi, so I am not from the UK or maybe my ancestors are. At this point I have no idea really my ancestry. So do you have a suggestion on the best way for me to find out my ancestry. I am from the US and I think I am Italian and Irish. Help me, please? I always suggest to start with yourself and write down what you know. Then the next step is to ask friends and relatives about your ancestors. You can get a lot of useful information from these people that may not be recorded. 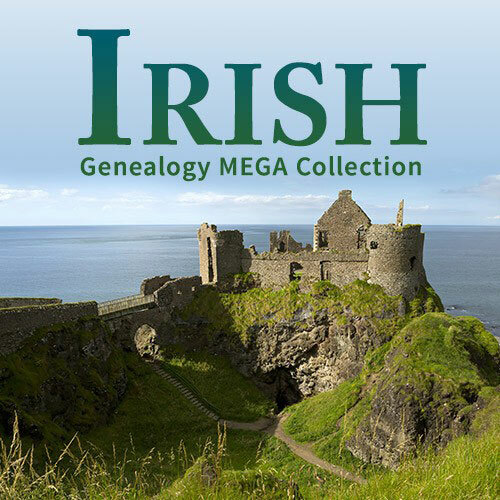 As for Irish ancestry you can check out the Irish Genealogy Mega Collection review. 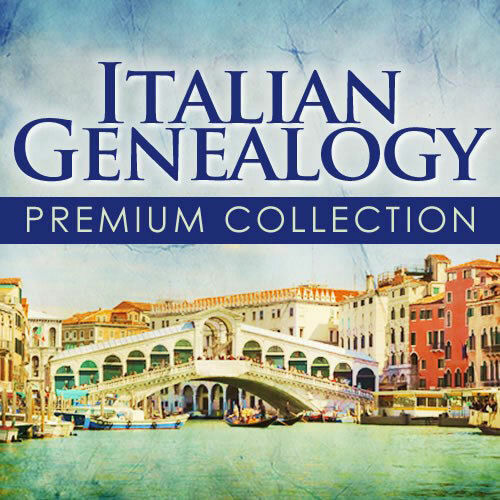 I will be adding a review on the Italian collection in due course. Didn’t knowsuch a thing even existed – thanks so much for bringing this to my attention. The specifics on how the Scots naming works will prove very interesting I’m sure as I do have Scots ancestry. What time period does this cover? I have been aware that tracing geniology gets more difficult at different times depending on the country/region as some were more organised than others. This collection can help you discover your Scottish ancestors back a couple of centuries at least. With any records it is sometimes potluck as to what you will find. All the best with researching your Scottish ancestors. Looks like an excellent collection. Unfortunately, I’m in the states, and, although I know i have ancestry from Scotland, and the UK, my trail ends here in the US before I can get back that far. Anyhow, excellent review, and well researched. Thanks! This collection is catered for the US family historian, so it is well worth purchasing. As you know where your ancestors came from this collection can give you further detail to their story. What they may have done in the UK, and possible reasons for moving to the US. 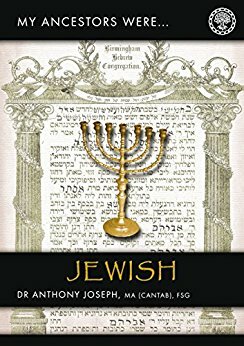 Are there other genealogy collections available? I have featured other collections in the Family History Books and Downloads section of the site. 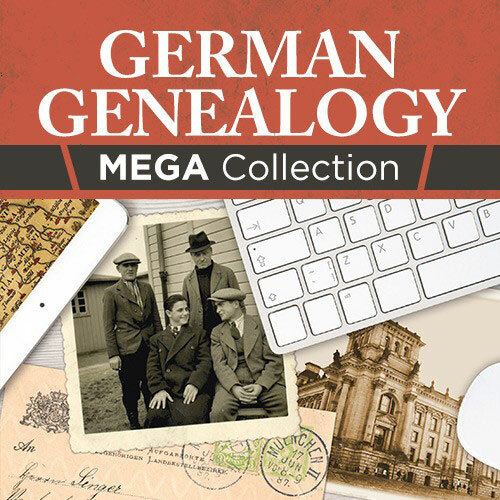 There you will find useful collections to help with your genealogy research. There is also a Find Your Roots part to that section which reviews British, Civil War, German and Irish ancestors. You’re quite welcome Alisa. It’s very fascinating to know what our ancestors did for a living, which you already know. It can also be exciting and rewarding to know the background to these stories. And that’s where this collection comes in. It can help you track down your ancestors origins. This collection is definitely tempting, considering the saving and the amount of information that you get for the price.